Skools Out is an out of school care and activity club. It has been set up to provide essential care provision before and after school and during school holidays for children aged 3 – 11 years. Skools Out provide a safe, well-equipped and stimulating environment in which your children can play. You will be given a registration pack which includes a registration form, a booking form, and the terms and conditions of the club. You will also be given a condensed copy of the clubs policies and procedures, of which a full version is available for anyone to read at anytime during the clubs opening hours. All of the above must be signed where appropriate and sent back to the club. Once we have received your registration forms, you will then be asked to come along to the club with your child/ren for a visit. 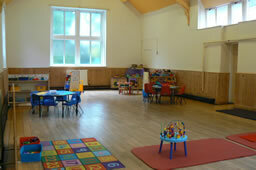 You will be shown around and introduced to the staff and meet some of the children. If you have any complaints regarding the Skools Out, then please do not hesitate to inform the supervisor as soon as possible. A full copy of the complaints procedure is available upon request.